I received a phone call from Remington yesterday, November 12, and here is the latest information. 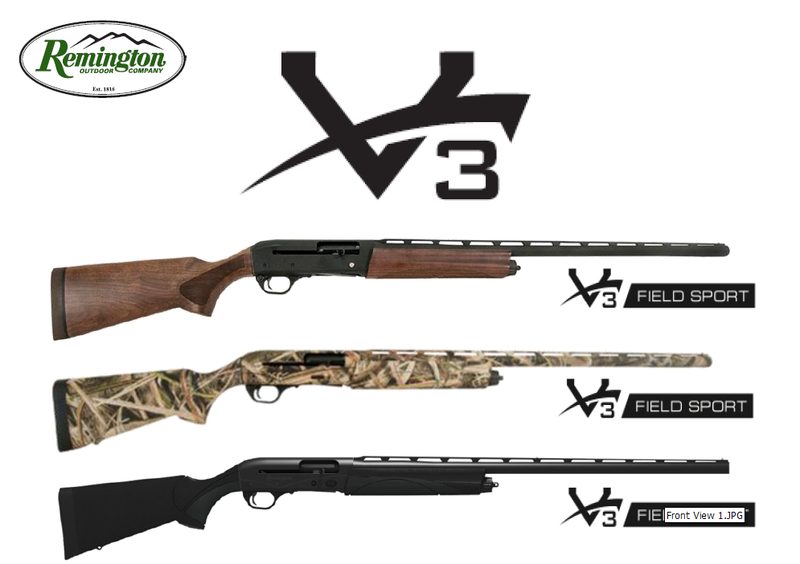 The long-awaited Remington V3 autoloader has been finalized and has been in production in Ilion, New York. The V3 is being released, in quantity, in January 2016. Four models (sku numbers) are initially released: the 26 and 28 inch black synthetic and the 26 and 28 inch synthetic camo. The walnut version is not being released in January, but is scheduled to follow mid-year 2016. The Huntsville, Alabama produced RM380 pistol is being released in quantity right now. Remington sold out of their Model 700 Ultimate Muzzleloaders last year. Currently in production as well, they should be properly repopulated in the general supply chain soon. There are a couple of new, lighter configurations forthcoming, likely in the area of July for those who prefer a bit lighter configuration. More information to follow as it becomes available. There are going to be many models of many mainstream Remington introduced in 2016 to celebrate Remington's 200th Anniversary.